This week whizzed by with 4 to 6 hours of sleep almost every day. There were so much work to do, so much after work commitments to fulfill and there wouldn't be a stay-indoors-and-chill day for this weekend. However, I don't mind not staying in at home this weekend because what it more important than to attend and celebrate friends' wedding and birthday? The hubby had also been very busy this whole week too due to some important work commitment that required him to be on standby for 24/7 and hence we are both burnt out in what we call our most exhausting week ever. In between our friend's wedding and his final call of duty today, we had some time to go shopping. When I was shopping with the hubby for 1 hour plus, we wound up not buying anything. Once he left me alone to run his errands, I bought 1 pair of Tory Burch shoes, 1 pair of Lanvin shoes, 2 Affliction T shirts all at a discount. When the hubby returned, he sighed, "I regret leaving you there." I bought the shoes from On Peddar. 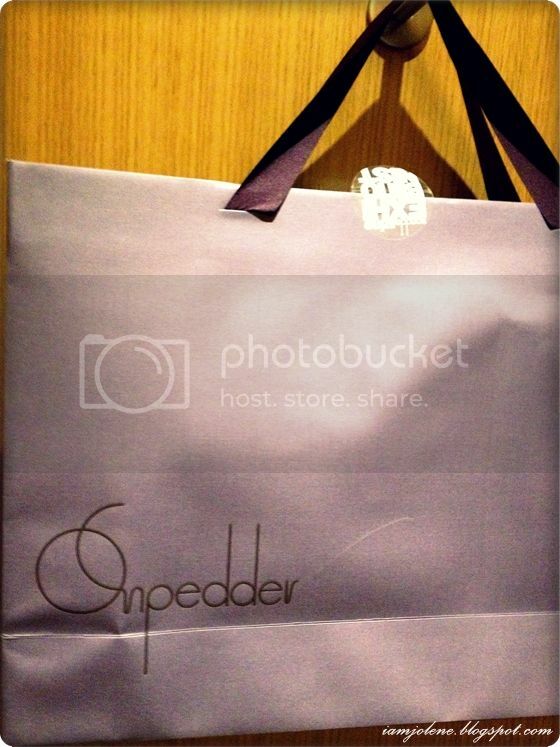 On Pedder is Asia's foremost source of designer footwear, handbags, fine jewelry and fashion accessories. I'm someone who do not own many shoes like most girls do. I love to look at shoes and admire them well knowing I could not wear them. I have problematic feet and toe nails and could not wear many types of shoes. Ballerina shoes, pumps, all sorts of covered shoes without straps simply slide off my feet even if they are of the right size. The smaller ones would not slip off but they would bite and leave my toes all painful (due to the nature of my toe nails). Hence when I find shoes that fit me without much problem, I would not hesitate to buy them. My hunt for ballerina shoes that fit my feet ended today when I discovered how comfortable Tory Burch and Lanvin ballerina flats are. They are definitely worth every single cent I paid for and what's more, the Lanvin were on 50% off while the Tory Burch were on 40% off. Guess which 2 pairs I bought in the end? I bought the Tory Burch and the Lanvin on the left. 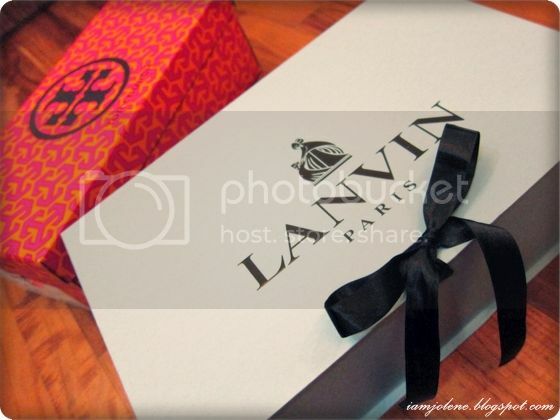 While the Tory Burch looks a lot prettier with the flower, I must say the Lanvin is more comfortable. It is like walking on cushion with no biting edges. On Peddar was having a promotion of an additional 10% off total purchase of 2 items and 15% off total purchase for 3 items. I very nearly bought a Stella McCartney bag as it was on 60% off. Can't really see if it is worth it in percentage? 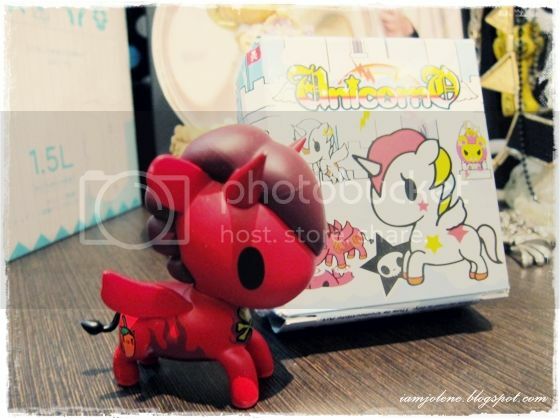 It was selling for SGD$832 when its normal price was SGD$2080! A lifelong vegetarian, Stella McCartney does not use any leather or fur in her designs. I'm amazed at how the bag looked so much like it was made of leather. I did not buy it in the end as even though it was a huge discount, $832 could buy me a lot more. I don't need another bag. I bought 2 biker rock style T shirts from Affliction too. I really ought to be shopping for Chinese New Year clothes instead! These are so not suitable for CNY. 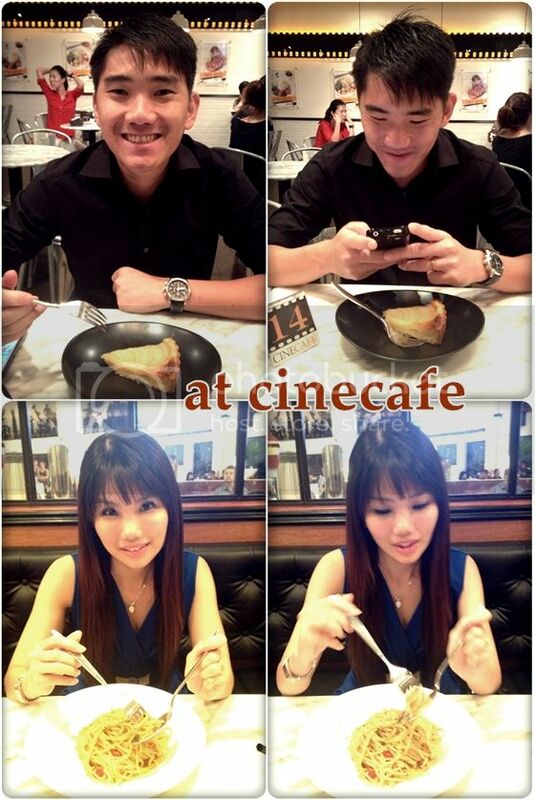 After being chided by the hubby for the 4739303243409th time for spending (MY OWN) money, we had light dinner at CineCafe and caught Hansel and Gretel: Witch Hunters. I really love twisted fairy tales and am glad that I knew the original version as a child in order to appreciate and fall in love with the twisted ones. I cannot imagine any child thinking that Hansel and Gretel went round blasting witches' heads and guts and leaving bloody mess everywhere. On a separate note, my eldest sis watsapp me the new bottles of Absolut Vodka she has added to my bed's headboard from her few trips recently. 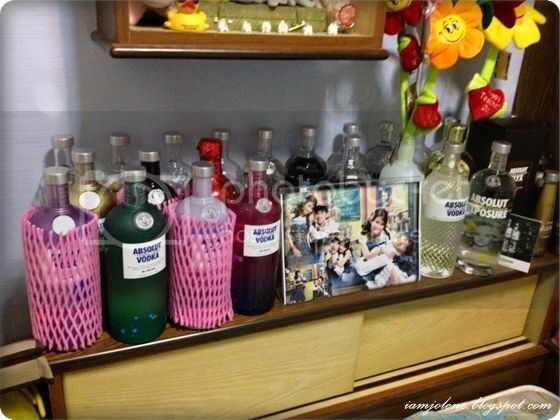 Absolut Vodka is indeed trying to squeeze collectors dry of their money with all their new collections. We have to find a new place to house all these vodka soon as my headboard is running out of space. 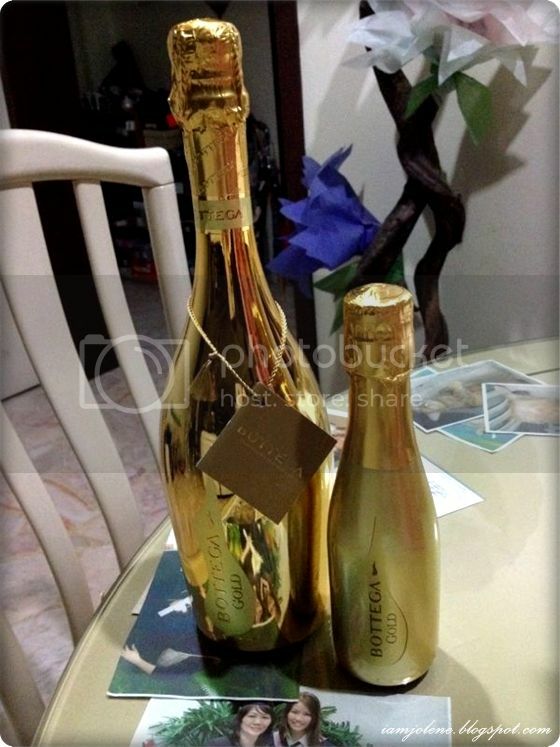 I never knew Bottega Veneta has champagne till my sis bought them. So atas ah? I wonder how the taste of luxury is like. 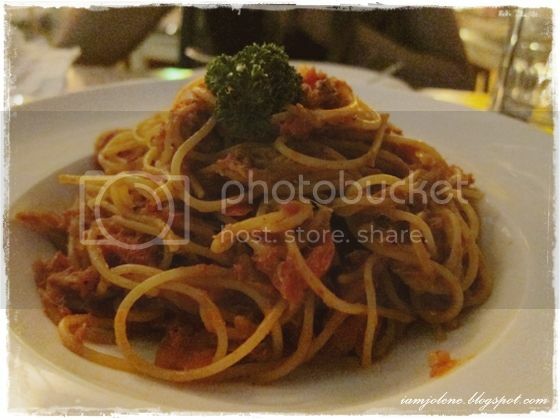 The days ahead look set to be even busier with CNY approaching and more tasks at work. I only hope I could at least get my 6 hours of sleep every day. 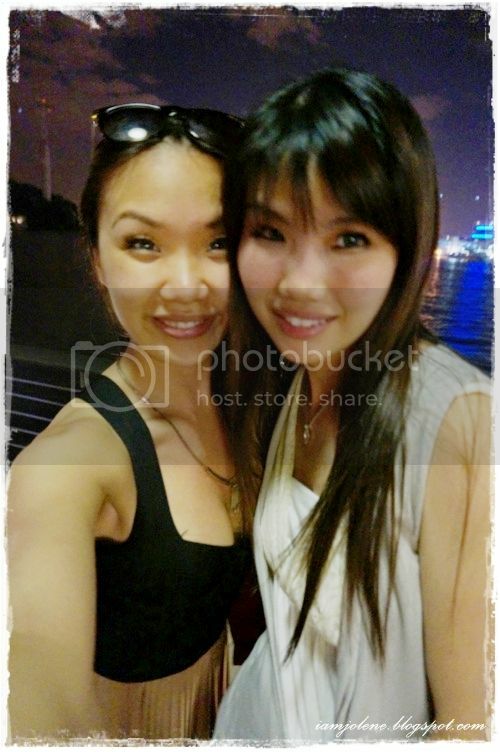 Earlier this month, I had a lovely lovely evening under the stars with the very gorgeous Cindee. Up till now, I'm still amazed that the Internet had brought 2 strangers from opposite ends of the world to cross paths and become friends. 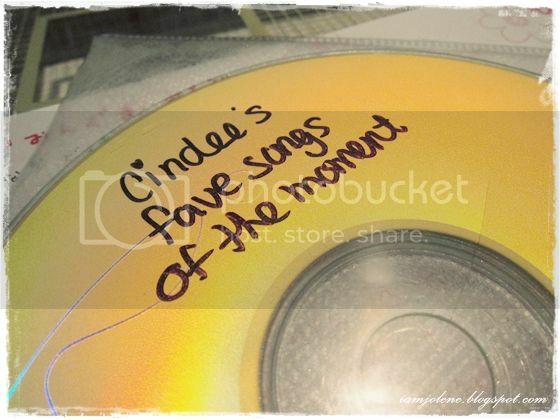 Cindee writes brilliantly. Her writing doesn't entail bombastic, impressive vocabulary like how some people would associate with brilliant writing. Neither is her writing in the literary descriptive fashion. Instead, she expresses herself emphatically in an almost poetic manner. I love her words, I love the way she crafts her posts and I'm always in awe of her creativity. 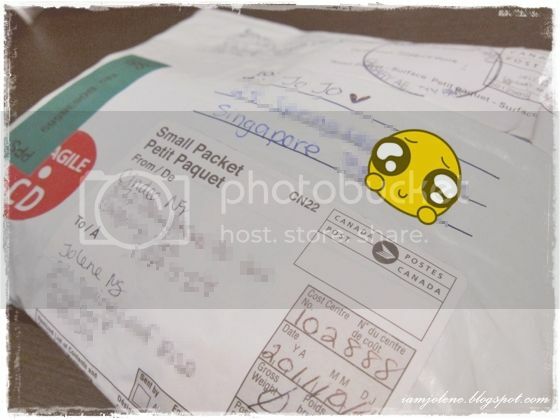 About a year ago, Cindee sent me a belated Valentine's Day parcel. The parcel was delayed and mishandled over at Canada's side. (I always hear of my Canadian blog friends complaining about their postal service.) 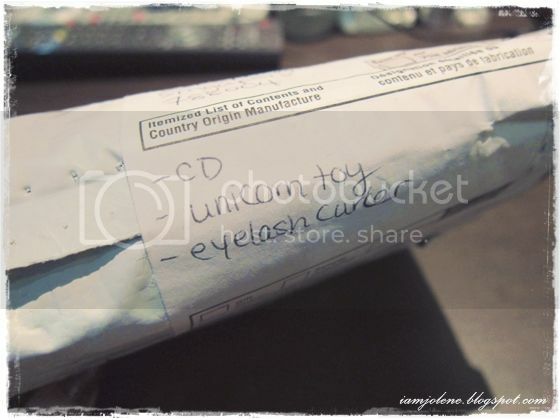 Due to the tearing at the side of the package, the original package came wrapped in a waterproof envelop. 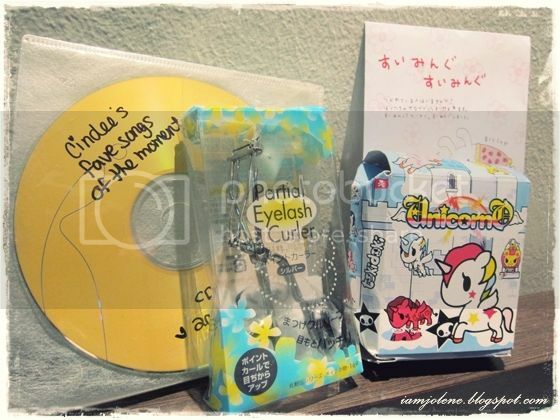 The Valentine's Day gift pack came with a CD compilation of Cindee's favourite songs, an eyelash curler and a tokidoki unicorn figurine. I love the unicorn to bits. 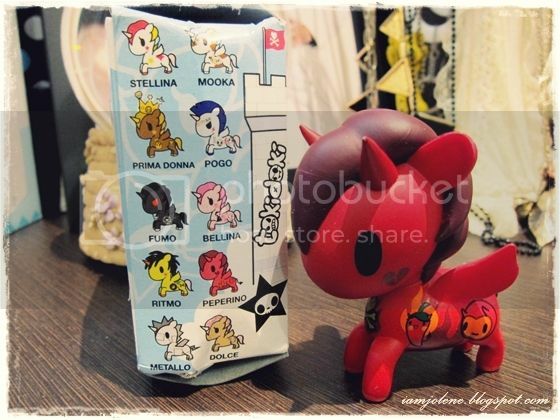 The unicorn she chose for me was hawt and devilish. It came with two horns instead of one like mainstream unicorns. I have a particular love for things which are off the beaten track at times. 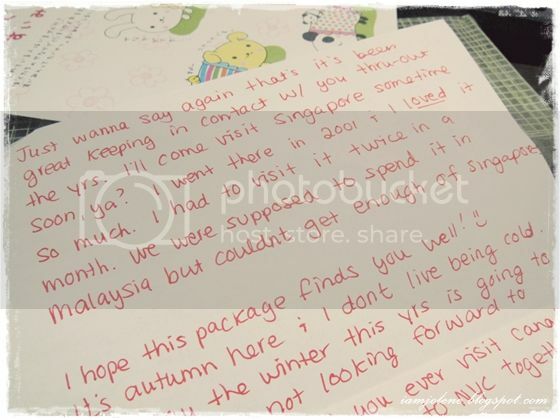 As promised in her letter, Cindee planned a trip to Singapore with her beau last December over the post Christmas and New Year period. 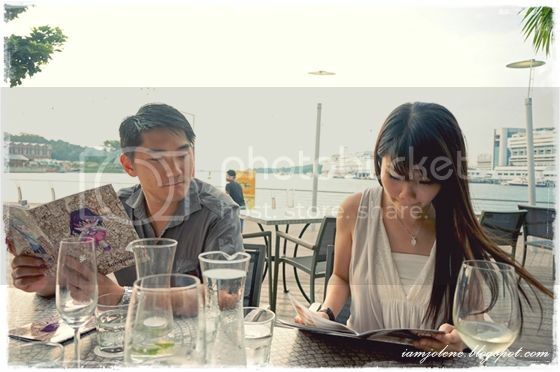 Very soon, we were excitedly arranging a double-date dinner meet up with each other via Facebook message and emails. 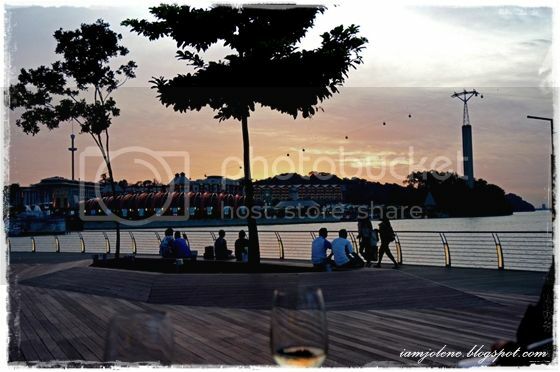 I arranged to meet at The Wine Company at Sentosa Boardwalk. Cindee simply loves alfresco dining by the water and I was quite certain she would love the place. 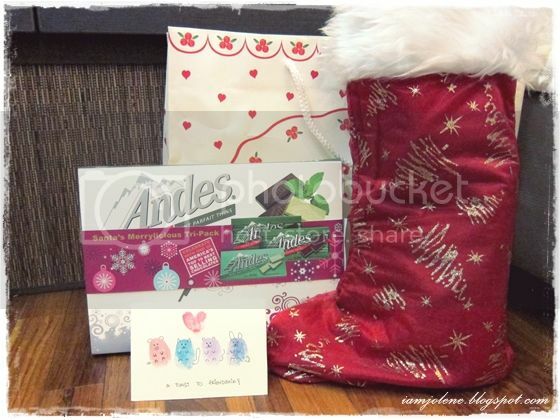 Before the meet up, I packed her a Christmas stocking filled with girly stuff and a box of chocolates for her beau to show that he wasn't left out. It was really funny when he said he might just like the girly stuff in the stocking as well! The Wine Company changed their menu. It looks like it is endorsed by some Japanese game characters.The very first time I was there to celebrate a few of my colleagues' birthday, I remember the menu contained some quotes which I like a lot. I did not snap a picture then and I told kh that no matter what, I had to do so that day. It was a shame I could no longer do so. We finally meet the gorgeous couple in person and the gals exchanged hugz. I bimbotically exclaimed to Cindee that she looked just like how she looked on photos and she could actually return my bimbocity and said likewise. 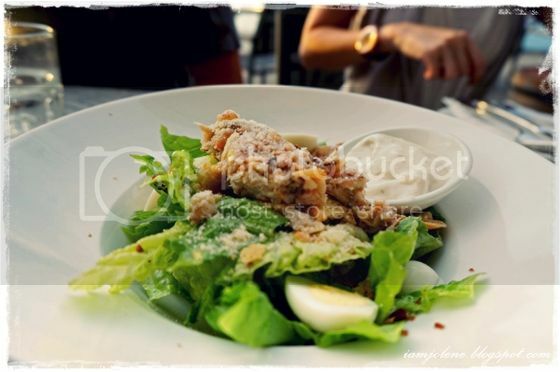 It was still early for dinner and we decided to get some light bites to share before ordering our main courses. Cindee insisted on a photo of kh and me for keepsake. 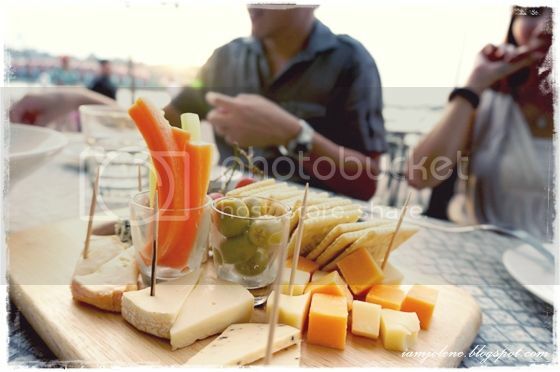 ... as well as the cheese platter. 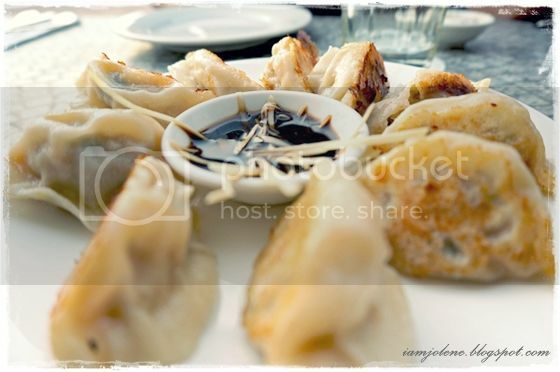 I do not understand the hubby's love for dumplings. He just had to order dumplings complete with ginger shreds and vinegar at the most western venue. The dumplings were shared too. 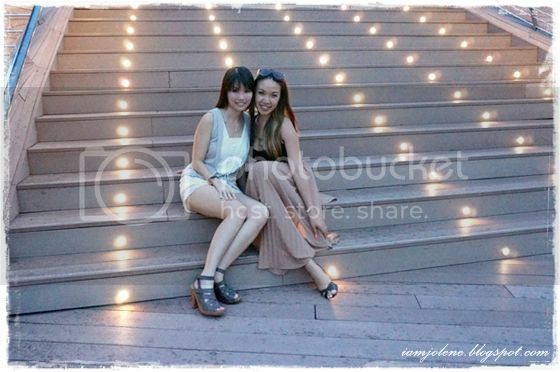 We were mesmerized by the lights on the stairs. I could tell how much Cindee loves this picture for she has made this her current profile picture on Facebook. Awww... so sweet! The sunset was beautiful and even though we could not see the sun sighing into the horizon, we were treated to a visually stunning sunset sky. Guess where were these taken? In the ladies! When I saw Cindee bringing her camera into the ladies, I could not help laughing coz I do that at times too. 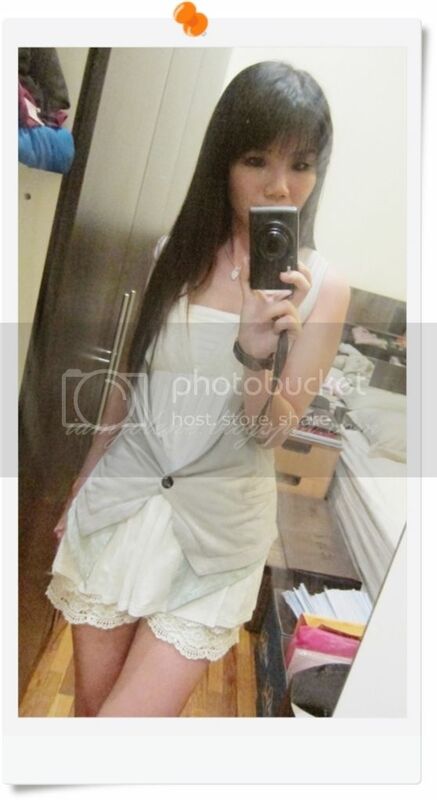 She felt that there were many beautiful toilets in Singapore and she had the habit of snapping pictures in there. After a few takes, the initial shot was still the best. We spent quite some time in the ladies that when we emerged from the loo, the sky had already darkened. After we returned from the ladies, we were happy to see the boys talking and ignoring our presence. We were really glad that the boys hit off so well. 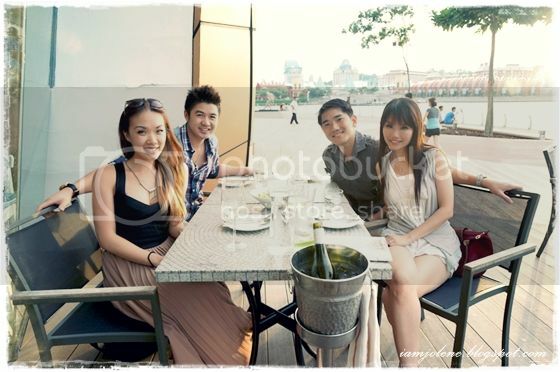 There were times when the gals and the boys engaged in our own girly and boy's talk and there were also times when the four of us would chat and share stories of our lives as well as exchange knowledge of Singapore and Canada. 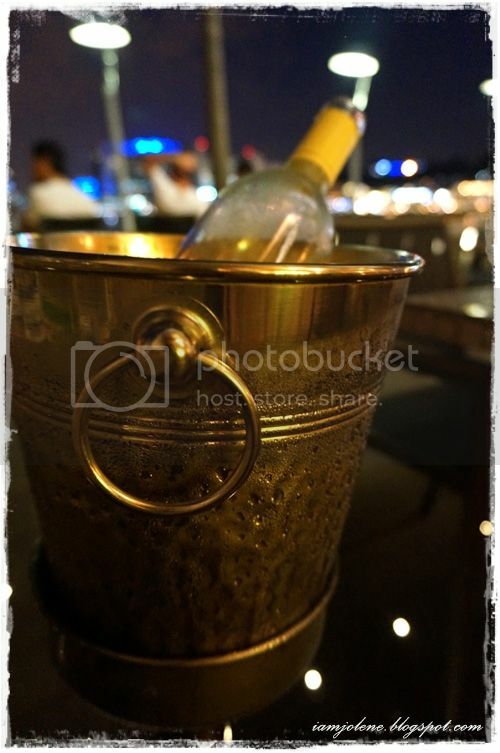 The boys ordered another bottle of wine and this must be one of the better white wines I ever had. The Steigelmann Neuftadter Pfaffengrund Gewurztraminer Auslese (pfalz) 2009 is a German wine with an exceptional concentration and a hint of delicate aroma of roses. A subtle sweet fragrance would waft into my nose each time I took a sip. 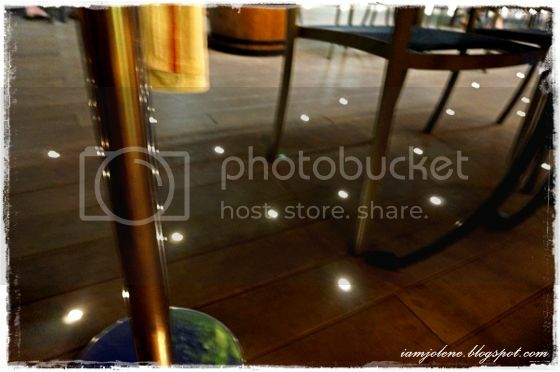 Having a love for all things beautiful, Cindee found little details like the lights in the floorboards simply alluring. 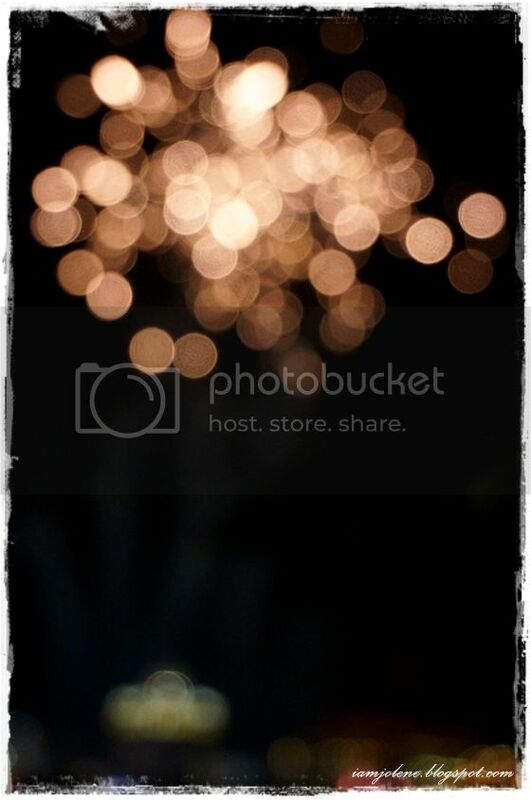 When fireworks came up without any warning on a day with no special occasion, Cindee mused that the fireworks had to be for us-- a celebration of our friendship. I love this accidental beauty. 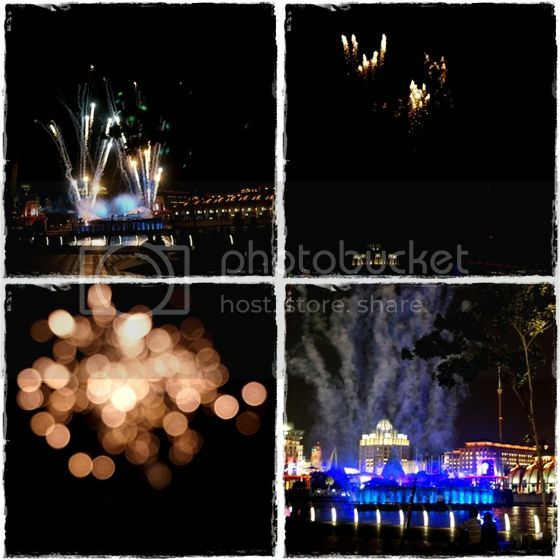 Already beautiful in the evening, the scenery was even more gorgeous when the lights dazzled at night. The heat and humidity from the day was replaced with cool sea breeze. 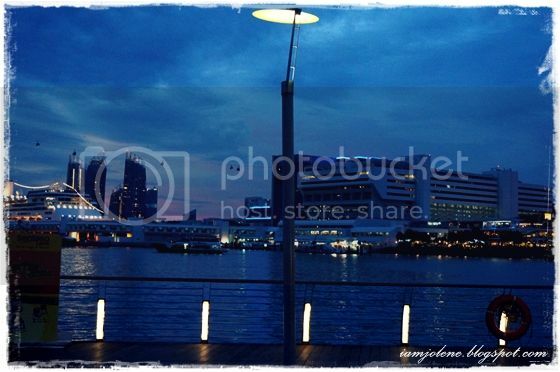 The beautiful evening was slightly marred by my annoying health condition. Those of you who have been reading my blog would know that I've been plagued with inexplicable tummy related pains recently. As soon as I stood up to walk over to the boardwalk for more pictures with Cindee, the sharp pain caused me to feel nauseous and break out in cold sweat. As I was posing for the picture below, blackness slowly overtook my vision and very soon I could no longer see what was in front of me even with my eyes wide open. I was scared stiff and held on very tightly to kh's arm. He got anxious after feeling my icy cold body as I grew heavy on him. Somehow, he managed to help me to the nearest seat and kept asking me to respond when I was feeling faint and losing my ability to talk. In retrospect, he admitted that I gave him quite a scare. He was afraid that if he did not keep me talking, something terrible might happen. Sweet Cindee immediately got me 2 glasses of warm and cold water. After regaining my mobility, I sipped some warm water and gradually felt better. She was really worried for me and suggested some natural means to deal with the condition like detoxing and TCM if western medication isn't helping much. After some rest and feeling really bad that Cindee and her beau had to witness this, I was soon feeling normal enough to take a last shot with her. I'm not too sure how some of you feel about meeting up with blogger friends or any other people you know on the Internet. For me, as much as I feel excited meeting a long time blogger friend, I was also a little apprehensive before the meet up. A deluge of questions like "Would there be awkwardness?" "Would we have nothing to talk about?" "Would the interaction online and offline be very different?" "I wonder how Cindee is like?" "Would we be able to click?" and many more kept flooding my mind before the meet up. 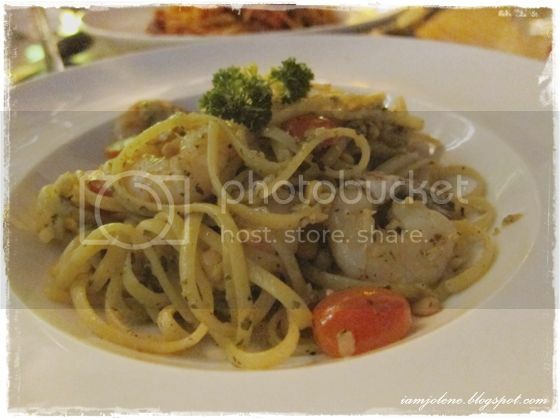 That said, both of us share the same sentiments that it was a indeed a lovely gathering under the stars with good food, good scenery and good company. We connected so well and simply could not bear to end the night. There were just endless topics to talk about that there wasn't even a split second of silence except when all 4 of us had food in our mouths. It was indeed a beautifully forged friendship. Cindee gave us a box of Max Brenner chocolate bon bons. 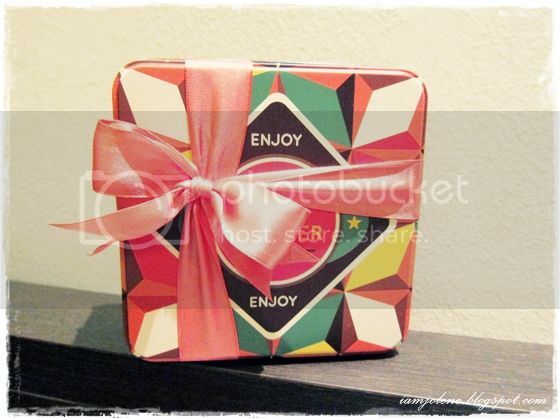 The pink ribbon and the colourful geometric tin set my heart fluttering. What could you do with colourful stamp pads and some creativity? Thumprint art cards! 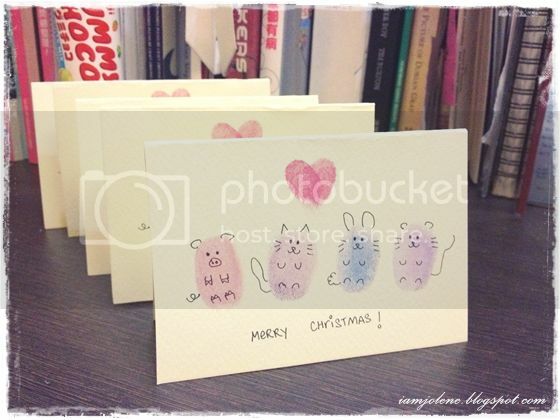 For my thumbprint art project, the result came in the form of mini Christmas cards. 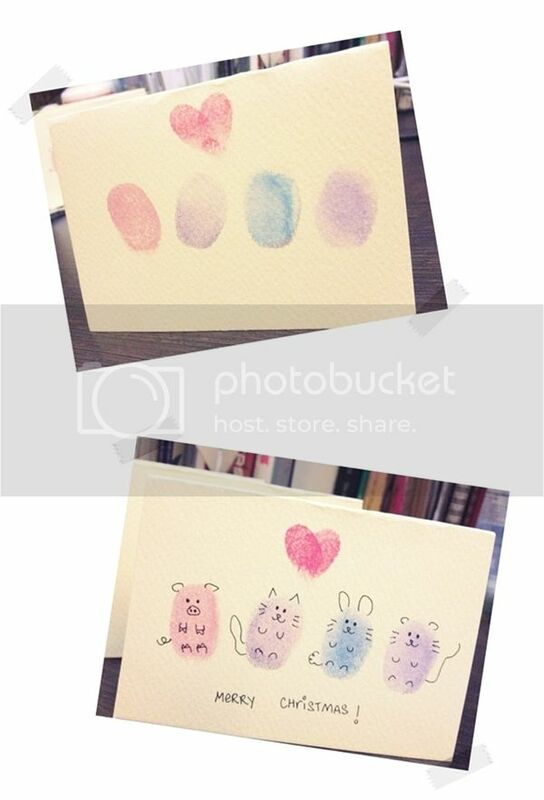 Thumbprint art is really fun and easy to do. They are great indoor activities for kids and I know that adults love doing them too. 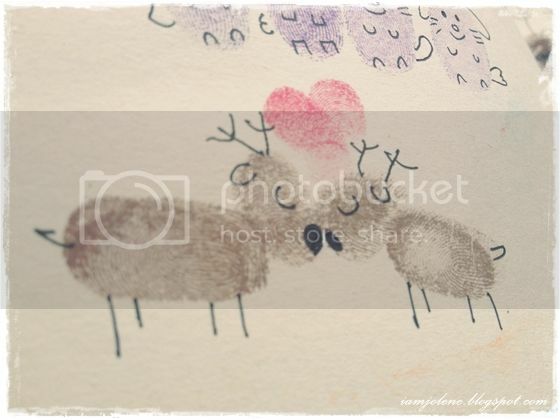 You could even make thumbprint Valentine's Day cards since Valentine's Day is round the corner. I love making simple little Christmas cards for my co-workers. Instead of the standard-sized cards, I feel that mini cards are a lot cuter and take up lesser space on the noticeboards, leaving them with more space for other important notices at their work stations. I'm not very good at craftwork so most of the time, my mini cards consist of my simple doodles coloured in with colour pencils or retractable crayons. 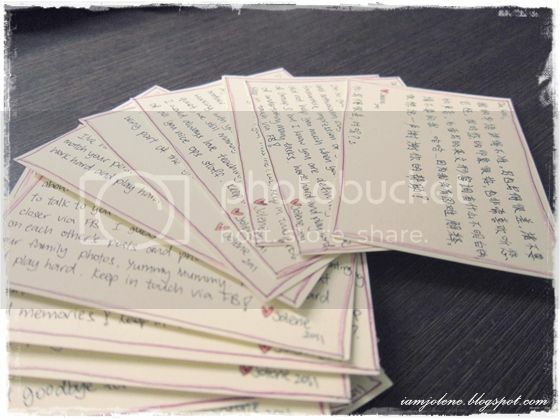 These are the farewell cards I made for my ex colleagues in 2011. 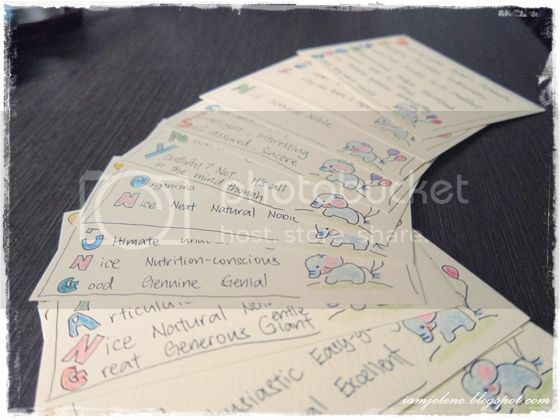 The cover page consisted of their name in acrostic style with positive adjectives to describe each of them. Though finger-breaking and sleep-robbing (due to last minute colouring and writing), the card is nothing spectacular at all. However, I know that most of them would display their cards up on their magnetic boards and I hope that seeing their names in acrostic positive adjectives every day would create positive energy in them and put a smile on their faces. 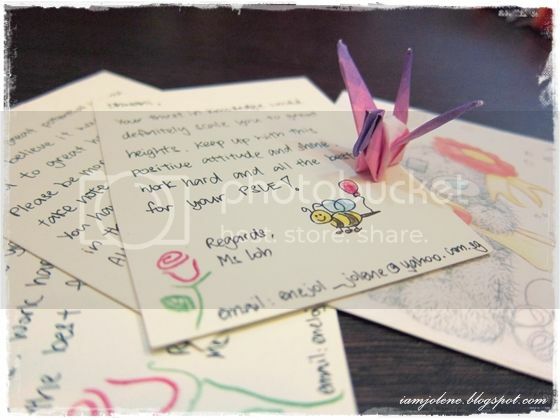 I make mini farewell and good luck cards for my graduating students as well. 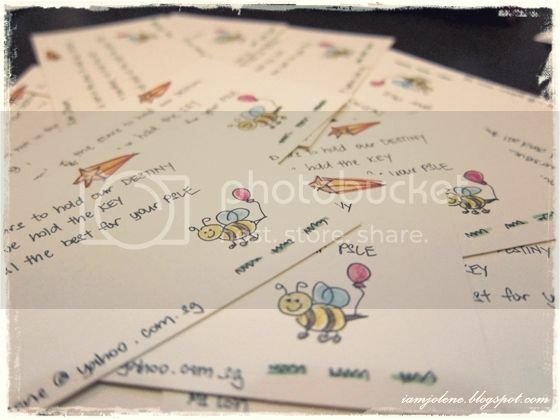 Some of them would keep the cards in their wallets for good luck during their PSLE. I do not pen personalized messages for my students but I would write a generic good luck poem, adding in my specially-for-students email address in the card for them to keep in contact. 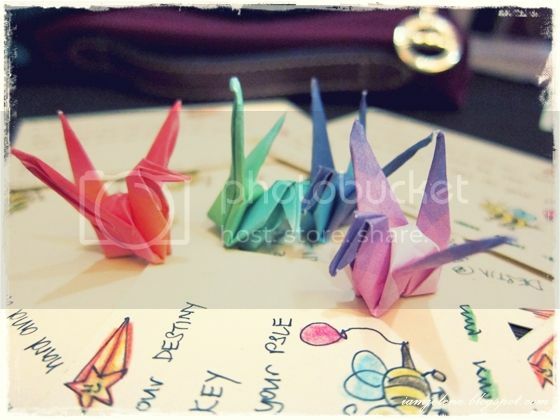 I would also add in a good luck crane in which they get to choose the colour that they like. 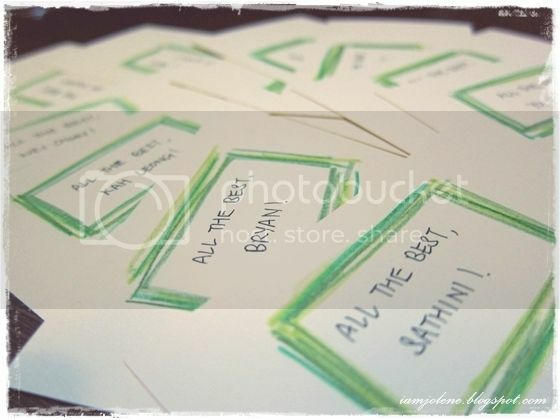 For my advanced P6 class last year, I penned personalized message to them since it was just a small class of 6 students. I thought of making cards for my co-workers last Christmas as despite being in the organization for only a few months, there were already so many people whom I wanted to pen Thank You notes to. 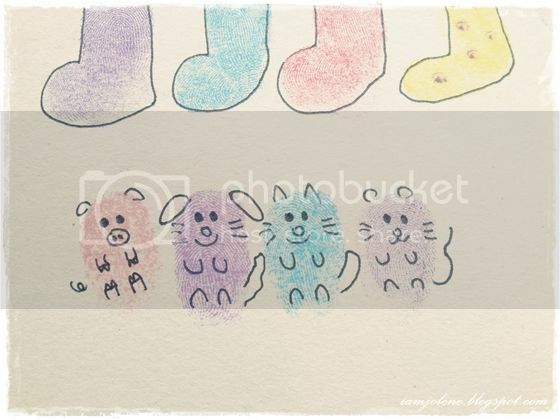 As compared to doodling and colouring, thumprint craft proved to save a lot of time and finger-breaking pain during the whole card making procedure. 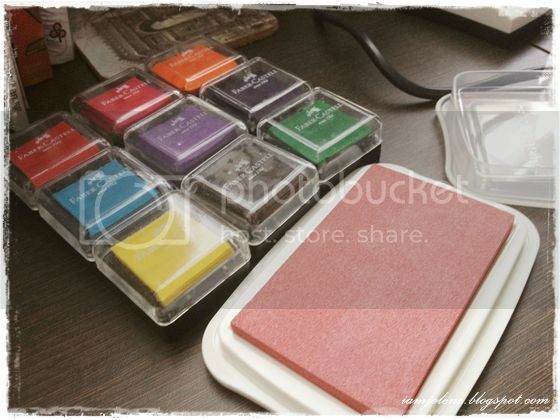 You have to buy the right type of ink pads for thumbprint craft. 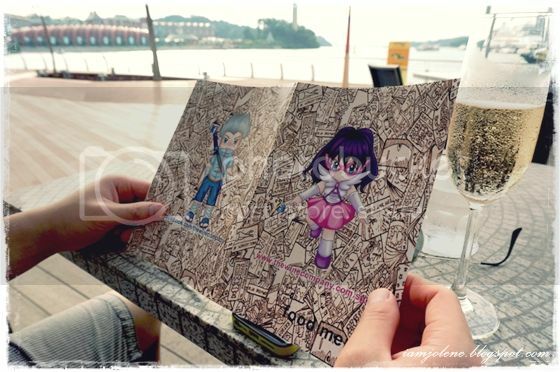 You would need those that come in soft sponge and which ink isn't too pigmented as you would want your drawing to be visible on those prints. 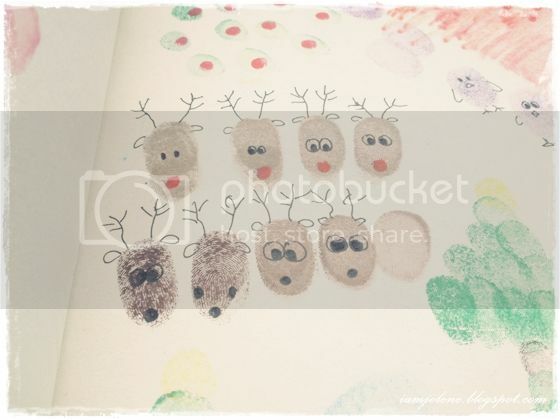 The mini ones you see here are Faber Castell Fingerprinting ink pads. The sponge is soft and the ink runs slightly watery. 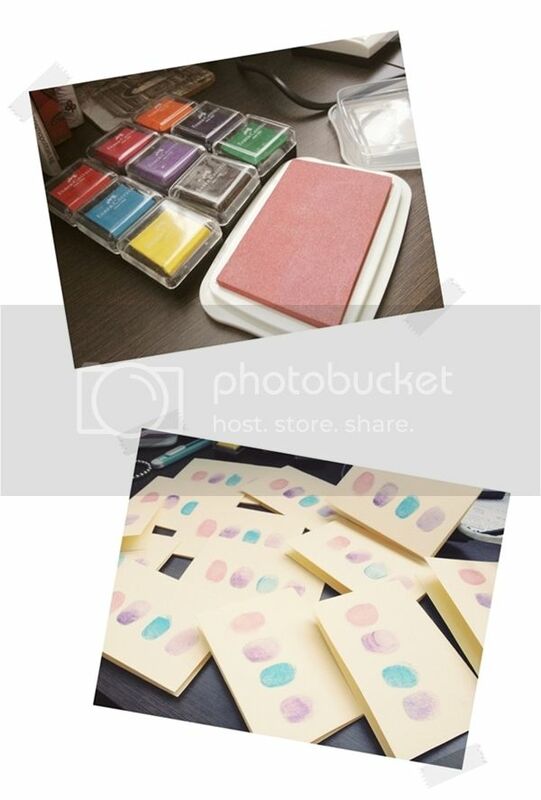 It is solely for fingerprinting (you can't use it for rubber stamping). The bigger light pink one is from VersaFine which was purchased from an art shop some time back. The pad isn't soft at all. The ink is oil-based yet water-soluble. It has the opacity of a pigment ink, but offers the quick drying convenience of a dye ink. 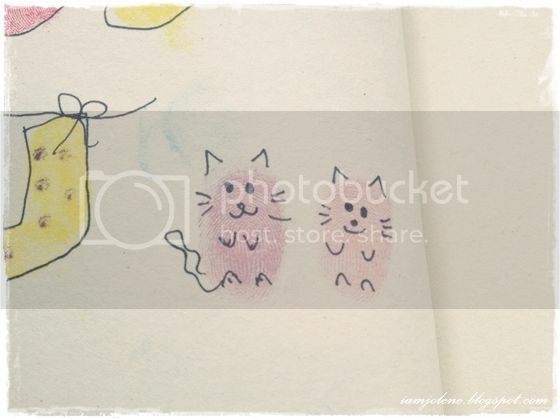 I bought it for rubber stamping from way before but it works very well for fingerprinting too. I really love how versatile this ink pad is as well as the sweet shade of pink. 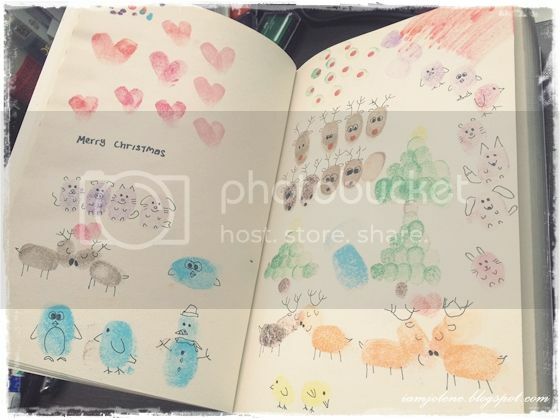 Prior to making my cards, I googled "thumbprint crafts for christmas" to draw inspirations from and before coming up with the final concept of the 4 little animals on the cover, I played around with many ideas in my drawing book. I personally find it a good practice to do some rough work first before starting on the actual cards. It allows me to see the various ideas in my head. In the case of Christmas theme, some of the inspirations that I had gotten from various websites did not turn out according to what I had visualized in my mind's eye at all. 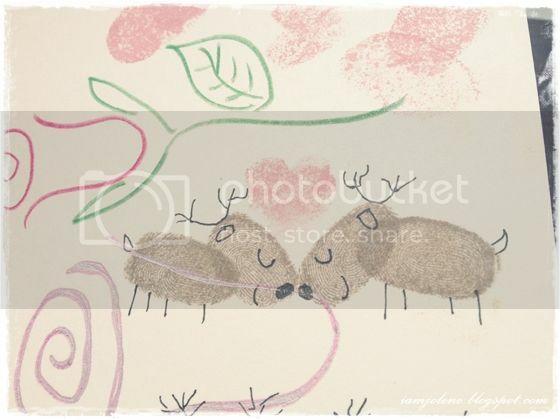 Sometimes the same idea would turn out so differently as seen in the reindeer pair depending on how I print them (the amount of ink, the amount of pressure, the angle of my thumb, whether I use thumb or finger etc). 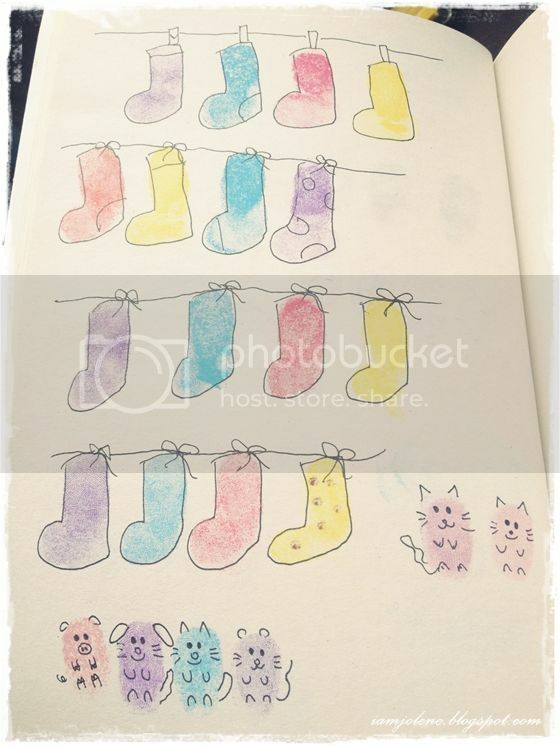 Sometimes, some of the ideas did not turn out quite like thumbprints as seen in the socks theme. It turned out too simple. I had to also decide on the style of illustration I wanted. Having eyes as dots or having eyes with iris and sclera made a lot of difference to my characters. Also, the positioning of the features affected how my characters turned out. When I finally decided on the theme of 4 animals, I realized that sometimes some animals turned out cuter than the other depending on the initial size of the print and how I spaced the features. I also realized that I had to eliminate the dog as it was not distinguishable enough. The hubby could not figure out what animal it was (or maybe the hubby is isn't too bright). I found these 2 cats a lot cuter than the animals above. I used my fingers instead of thumb for them. The style of nose and positioning of ears made quite some difference. After practising enough, it was time to print on the actual cards. Remember to get some wet cotton pads ready for wiping the ink off the thumbs before going on to the next colour. I worked in a conveyor-belt method. I printed the body of the first animal all at once on the 30 cards, wiped my thumb and switched colour to print the second animal and so on. Last to be printed was the heart. The ink dried up pretty fast and very soon I was drawing in the features and making animal characters out of these oval prints. 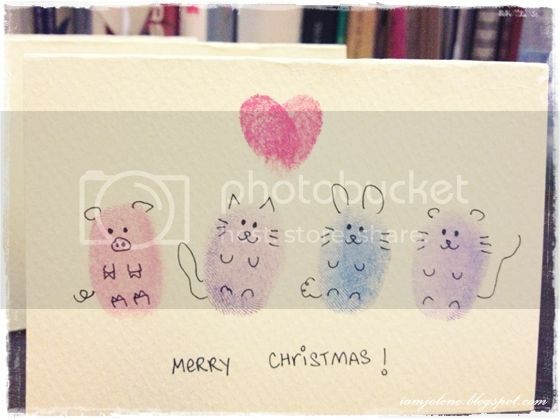 After drawing on so many cards, I began to discover that except for the pig, all the other animals looked just like seals when they were without their ears. Featured here is just a sixth of the entire number of cards I made that night. 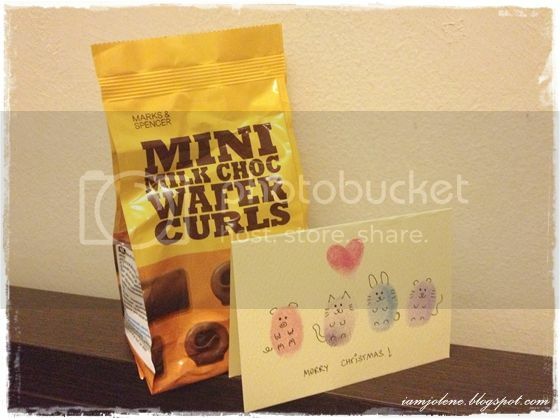 A packet of Marks & Spencer Mini Milk Choc Wafer Curls was the generic Christmas gift for each colleague in the department. Of course, the people in my branch as well as other colleagues who have rendered much help and guidance to me got more gifts on top of this. 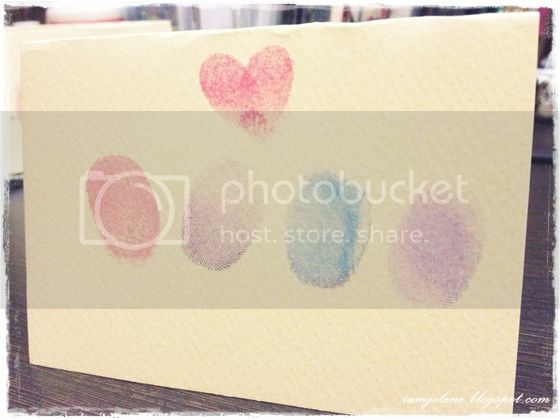 Have you ever created thumbprint art? What are some ideas that you came up with?